Can you feel it? The Northern Virginia real estate market is heating up! After a lackluster performance in 2015, the new year is starting off with a BANG! Gina Tufano and her team are seeing multiple offers, escalation clauses and shorter time on the market. What does this mean for you? As a buyer, get your ducks in a row! Meet with one of our buyer specialists to learn about the process before falling in love with a Loudoun home online or in an open house. Make certain that you understand the mortgage process and are holding that golden ticket (a preapproval letter) in your hand prior to writing an offer on your forever home. As a seller – staging, marketing, and pricing all play a big part in taking advantage of the low inventory. Make your first impression with a bang! The more exposure your property has, the more potential for profit for you. As you look around, you’ll notice that while some houses sell right away and for top dollar, others languish on the real estate market without nary a nibble. Don’t be left in the cold, call Gina today for your personalized market analysis and find out what it takes to be on the winning side. 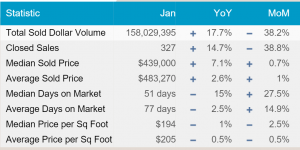 The most recent Loudoun County sales statistics tell the story. 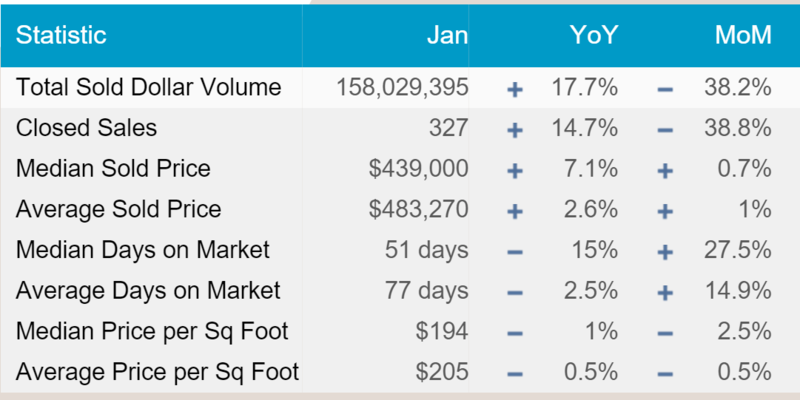 Year over year closed sales are up almost 15%, median sales price is up over 7%, median days on market is down 15%….all of this leads to quicker sales and a more robust real estate market!